Microsoft’s Turn 10 Studios has partnered with UK studio Electric Square to develop a free-to-play Forza Street game. The title has just been launched on PC and will also come to iOS and Android. As well as race, the game features an “endless story” and has classic muscle and modern sports cars to for players to collect. It's the second time the Forza series has gone free-to-play after Forza Motorsport 6: Apex, while Forza Street's upcoming release marks the IP's debut on mobile devices. The news is confirmation of a leak back in March by Turn 10 community manager Brian Ekberg, who posted a link directing people to an inaccessible file that appeared to detail the existence of the title. 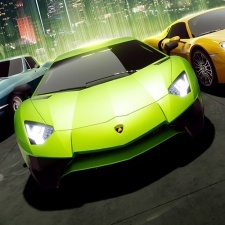 Previously Electric Square had launched a racing game called Miami Street on the Xbox Store exclusively for Windows 10. That game is no longer available.